Disclaimer: This post is based on my first-hand experience of getting an e-Visa for Turkey in the Philippines. Please visit the Republic of Turkey’s Official Visa website for more information. Visitors to Turkey can either apply for a regular visa or an e-Visa. The Turkey e-Visa is easy and hassle-free to obtain, that is if you have a valid visa or residence permit from the United States (USA), any Schengen country, the United Kingdom (UK) or Ireland. 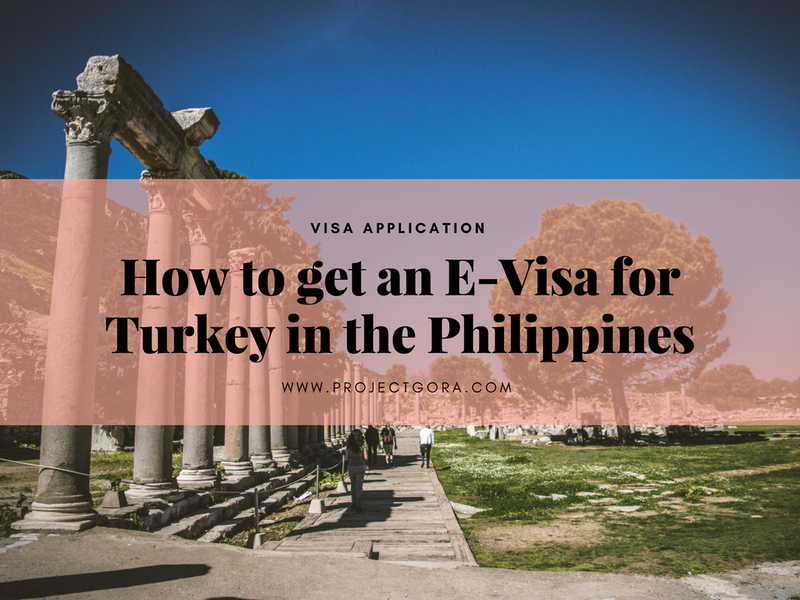 If you do not have any of those mentioned, I’m afraid this post cannot help you as I did not experience getting a regular visa from the Turkish Embassy in Manila. 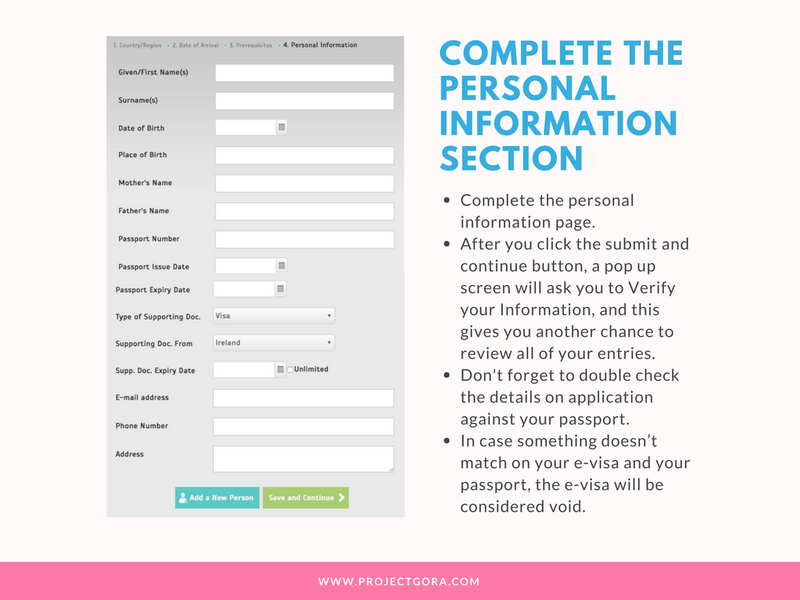 Read on if you have a valid US, UK, Schengen or Ireland visa/residence permit. To begin your Turkey e-Visa application, click the red ‘Apply Now’ button at the upper left hand side of the website. 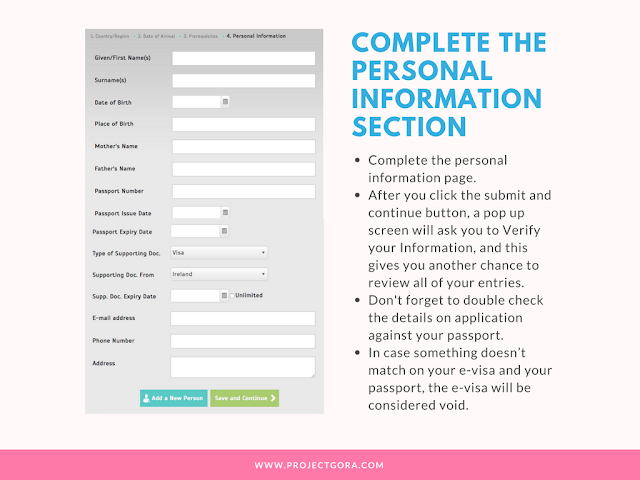 Then, select the country and the passport you will be using. Enter the displayed letters and/or numbers to prove you're not a robot. Click the ‘Save and Continue' button once done. Turkey e-Visa is valid for 180 days and the allowable period of stay is 30 days. 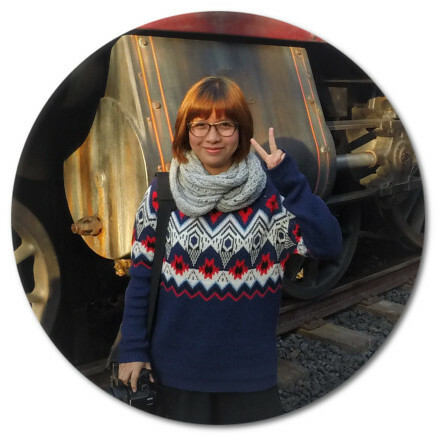 After completing the online application, you will receive a confirmation email. 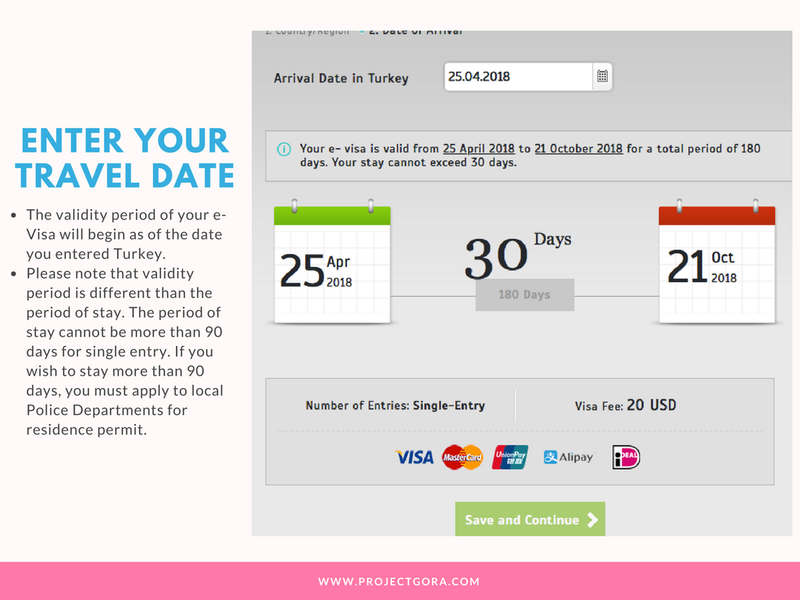 Once confirmed, you will be routed back to the Turkey e-Visa website to complete the payment process. Pay the fee online, which is $20, with your debit or credit card. Fret not if you don't have a USD account because an equivalent amount in your local currency will be deducted from your debit or credit card. 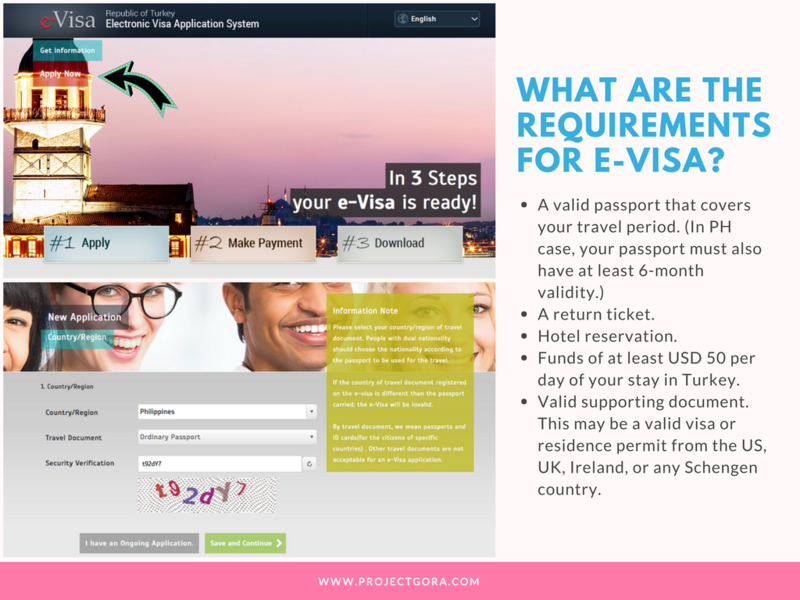 After payment, you will receive an email stating "Your e-Visa is ready." 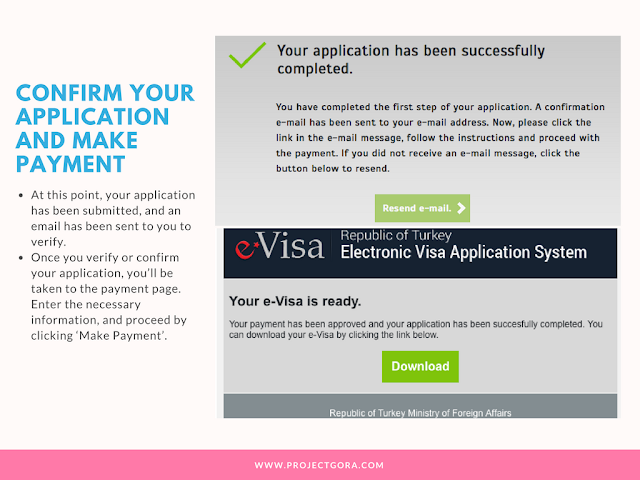 Click the download button to get your Turkey e-Visa in PDF. Don’t forget to print this out and present it to the Turkish Immigration at the airport.